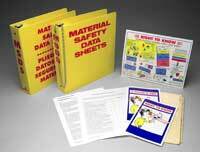 Title: 07/24/1989 - OSHA's Hazard Communication Standard. This is in response to your letter of June 15, regarding the application and enforcement of the Occupational Safety and Health Administration's (OSHA) Hazard Communication Standard (HCS), 29 CFR 1910.1200. OSHA applauds the efforts of the National Association of Plumbing-Heating-Cooling Contractors (NAPHCC) in attempting to help your member companies and other plumbing, heating and cooling contractors comply with the OSHA Hazard Communication rule. We regret any confusion or misunderstanding that you may have regarding OSHA's enforcement of the requirements of the HCS, and hope that the following discussion of the issues you raised will help clarify the Agency's compliance policies for you. Attached, for your information and reference, is a copy of OSHA Instruction CPL 2-2.38B, which sets forth OSHA's policies and procedures for our compliance officers to follow when conducting inspections for compliance with the HCS. This directive has been revised to include additional guidance for application of the HCS to the construction industry. At the present time, the revised draft is undergoing final stages of in-house review. Interim guidance on enforcement of the HCS in the construction industry has been supplied to our regional staff, and uniform enforcement procedures are being applied by our compliance safety and health officers (CSHOs). In your letter, you expressed concern that the term "workplace" is not defined in the HCS, and that this lack of definition is leading to confusion in our compliance officers' interpretation and enforcement of the terms of the standard. In the final rule on Hazard Communication published in the Federal Register on August 24, 1987, (copy enclosed) "workplace" is defined in section C., "Definitions," as: "...an establishment, job site, or project, at one geographical location containing one or more work areas." "Work area" means: "...a room or defined space in a workplace where hazardous chemicals are produced or used, and where employees are present." We hope these definitions help clarify any confusion regarding the application of the HCS to you and your place(s) of work. In your letter, you also expressed concern about OSHA's procedures for determining compliance with the training requirements of the HCS. You stated that while the HCS requires employers to train employees, it does not require them to keep (on site or elsewhere) written records of the training they do provide. The purpose of OSHA's HCS is to reduce chemical source illnesses and injuries through acquisition of hazard information. This can only occur if employees receive the information on the hazardous substances they work with in usable form through appropriate training. In order to determine if this has occurred, compliance officers conduct interviews with affected employees and responsible management officials. In addition, a review of the written hazard communication program, as required under paragraph (e) of the standard, provides the compliance officer with information on how the employer provides hazard information to his employees, the elements of the employer's program, and procedures he uses to train new employees. Employees at a worksite with hazardous chemicals must be aware of the hazardous materials they are exposed to, how to obtain and use information on labels and MSDSs, and how to follow appropriate work practices. If, through a review of the written hazard communication program and employee/management interviews, the CSHO [Compliance Safety and Health Officer] detects a trend in employee responses that indicates training is not being conducted or is conducted in a cursory fashion that does not meet the intent of the standard, a closer review of the employer's training program is indicated which may result in the issuance of a citation. For your further information, you may want to review OSHA's procedures for determining compliance with paragraph (h) of the HCS, as set forth in the enclosed OSHA Instruction. We hope these responses adequately address the concerns you raised, and that the enclosed information is useful to you. Please feel free to contact us again if we can be of further assistance.